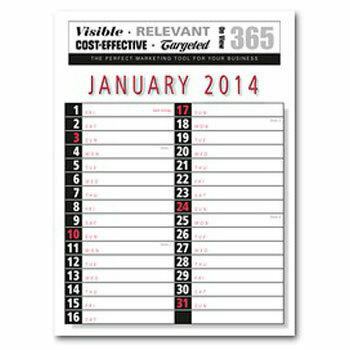 This practical, large type, commercial engagement calendar is ideal for office us. There is plenty of space for project and appointment information and the large print makes it ideal for visibility to all in a large office. A simple but effective page per month calendar.